I get it. You love your kayak. You think it's the best. And here's the thing: For you, it might be! But let it be said once and for all: There is no perfect kayak for all people, in all situations. People with bad backs will need a lighter kayak or a trailer. People with only $400 to spend can't afford the Hobie “Pro Angler 14”, so stop suggesting it. People who want a river boat may not want the Native Mariner, especially in low water conditions. I get it. You are loyal to your favorite brand. That's good. Please understand, however, not all kayaks fit all people and situations the way they might fit you. To grow the sport, the most important thing we can do is encourage people to demo as many boats as possible. Sure, you might encourage a certain brand - I think we all do. But please, whenever possible don't encourage someone to buy a kayak "dry". If a person has never been in a kayak, and you are encouraging them to buy the XR34, you are rushing. Asking lifestyle questions will lead you to a handful of kayaks to choose from. Hey, new guy! Does picking your first kayak seem overwhelming? I've been there. I bought the only one I could afford. It got me on the water, and that was good - but it could be very frustrating, and I almost died once because of a bad kayak choice. Please, new guy, be patient. We understand you are super-excited to try this cool sport. We love it, too, but we have all made different mistakes. I made a really bad one that almost pushed me out of kayak fishing all together. About five years ago, I purchased a kayak, sight unseen, “dry” with no demo. It was such a good deal I couldn't believe it, so I bought it. Later that week I took it for its maiden voyage, and almost turtled a dozen times. I hated that kayak. I felt like I was fighting it the whole time. It was awful - I sold it a month later, and lost money. Since then, I have purchased several kayaks for different purposes. I have a small-water/buddy kayak, a big-water kayak, and a family kayak (tandem). All three are different brands, and I like them all. If anyone told me I could get all of my wants in one kayak, it would seem a fairy tale and, frankly, unrealistic. I fish a wide variety of situations. Most people do. If you only fish one set of ponds or one stretch of river, you might be able to find one kayak that works well, and it could be perfect for you. That doesn't make it perfect for your buddy, or that new guy on the forum. Lots of places around the country have kayak dealers who specialize in kayaks, not just a bait store or grocery store that sells them. Ask for a demo. Almost all have staff who specializes in kayak fishing, and who have paddled all the different brands they carry. Take a look around and see what you can find. If you can’t find a shop nearby that offers demos, ask on the local fishing forum. Lots of people would be happy to let you try their kayaks. I take new people out all the time, just to share the kayaking experience with them. So, new guys: demo, demo, demo. Only you can choose for you. Kayak addicts: encourage the new guys to demo. Don’t just be boat pushers. With kayak marketing campaigns as strong as they are, it is really easy to succumb to buying a kayak sight unseen. This is a great reminder of the importance to demo your yak before buying it. I have owned 4 different brands and they all have their place. Biggest mistake I made was buying without taking out for demo. The type of water you will fish the majority of the time is what your decision should be based on more than price. 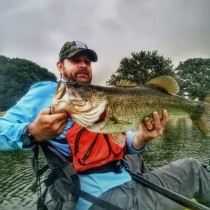 If you can't afford the kayak that best suits you, it is better to wait until you can afford it, otherwise you will either not enjoy fishing out of a kayak and quit or you will spend more money when you eventually buy the one you wanted. It seems that most new yakker threads I've seen the general recommendation is to demo if at all possible. perhaps a better movement could be to tell people what to AVOID because it's not good for anyone!? It is easier to say demo a kayak before buying than criticizing a model that you may have purchased and not liked. If you want to here the details of why I don't like certain models you can private message me. Well done article that I can relate to. As a brand-new manufacturer of drysuits with a very specific mission (be the lowest-cost on the market), I get plenty of comments(mostly from whitewater kayakers) who seem to want the suits to fit their specific (and numerically limited) niche. e.g., "why no tunnel/overskir t?" Why? Because only WW paddlers and a few really serious sea kayakers need them, and this suit isn't for them: it's for the guy/gal who wants to wants to paddle or fish in non-extreme conditions, wants the cold-water safety of a drysuit, but doesn't want to spend a lot. I'm thankful that there is *a* boat, *a* paddle, *a* drysuit for everyone -- it's just not the *same* one for everyone. I9 - the one I can check onto plane. Perfectly said!! My first kayak was a sit in with a spray skirt. Perfect for the cold spring waters of the Rocky Mountain lakes. Then came my Ocean Kayak Trident Prowler 13 which was is one helluva a kayak, but my age and back couldn't take the factory seat or the aftermarket seat for long periods of time. After 5 years in the yak fishing sport, I finally broke down and got the PA14 (Mostly for the seat!!). DEMO, DEMO, DEMO or you are in for a lot of money wasted on dumb mistakes. ive actaully done a lot of research on finding the perfect kayak for a very cheap price and like you said, THERE IS NO PERFECT KAYAK. i was lucky enough to get a never used malibu mini x for 375 and that was after 2 days of constant bickering for the price. but the mini x meets my expectations and exceeds them as well. it is also alot cheap then a hobie. I agree, while there is always that perfect fit for you it doesn't mean that it will fit another person the same manner. Kayaks are like sunglasses in this way, some fit better than others, some are lighter, some have more features, some are better for certain conditions, but not everyone can wear the same pair or afford the same ones. There are many different manufactures and styles of kayaks for a reason, there is a demand for them to have a variety of sizes, features, specifications, styles, cost, etc. "People with only $400 to spend can't afford the Hobie “Pro Angler 14”, so stop suggesting it."